TeeBillz Balogun has written an adorable message to his son, Jamil ‘JamJam’ Balogun as he turns three today. According to him, he sees more of him in his son as the year goes by and went on to post a photo of Tiwa Savage, himself and the birthday boy, Jam Jam. You’re part of my strength. I pray for incomparable wisdom and knowledge of God upon you. 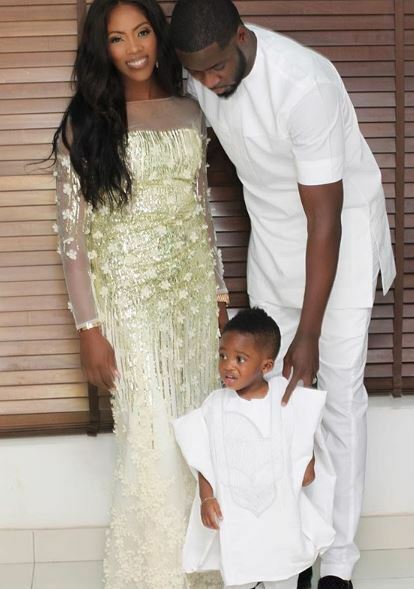 You’ve been a great source of happiness to mummy and I. I pray may you never stop making us happy in Jesus name…..
0 Response to "Tee Billz Pens Adorable Message To Son, Jamjam As He Turns 3"